The advantages of conceptualising these areas as forms of intangible value are firstly that this ensures a focus on the outcomes of people management activities, rather than the activities themselves. Secondly, this emphasizes that given their different nature, the three types of capital each need treating in different ways. The impact of Ulrich’s capabilities has been reviewed in Huselid’s research, described in chapter three. Huselid found that firms rated higher on these capabilities also invest more in R&D (an indirect measure of innovation); are more productive and more profitable. The ratio of market to book value was also found to be nearly four times larger in the highly rated firms. The research found that that there are radical differences in these intangibles between top scoring and bottom scoring firms. High performing companies have a higher degree of dialogue and value quality rather than quantity. Poor performers tended to have a bureaucratic and hierarchical culture, with leaders more concerned with a narrow range of financially driven output metrics than how top managers behave and interact with others. "The exact ‘fit’ will depend on a myriad of external and internal factors such as history of the organisation, its geography, its sector and its position within that sector." 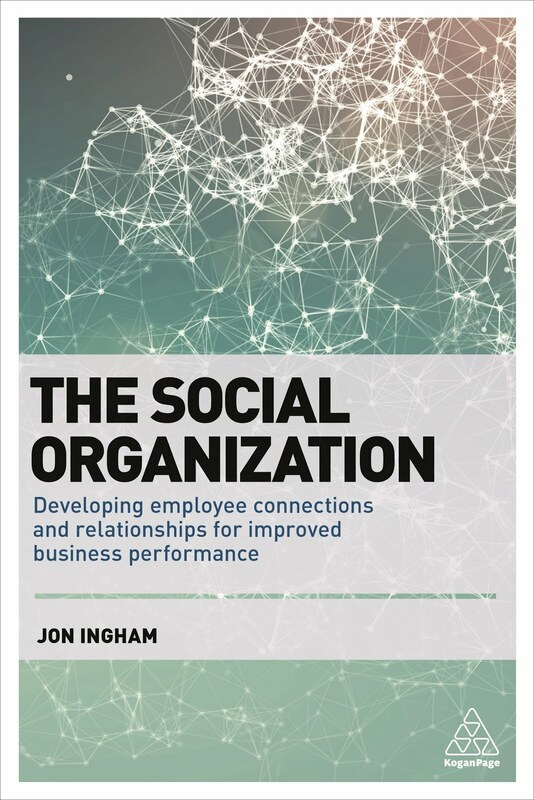 Whilst these lists of human, organisation and social capital may appear to be very similar to a list of best practices, there is a crucial difference in that they are actually the results of best practices rather than the practices themselves. For example, developing leadership skills is a practice; the ability to lead change is an intangible capability. But there can be overlap. For example, organisation capital exists to support people in the organisation – either by enabling business processes, supporting customer activities or by directly improving financial performance (for example an intangible capability to meet forecast projections). But organisation capital can also support people management so, for example, developing leadership skills could be organisation capital, as well as a practice, if the organisation is as effective as GE in developing senior executives and ensuring smooth succession into top jobs. The key issue in understanding whether something has intangible value is whether it is something that is so strongly valued that investors would pay for the organisation to have it. It cannot be managed but it can be influenced, mainly through conversation. I also think that there are some signs of a positive feedback loop here. As social capital along with other intangibles becomes more important, so it needs to be increasingly socially constructed which needs effective conversations. This increases the importance of social capital, which requires it to be socially constructed, ad infinitum. Organisation or structural capital is the infrastructure that supports people to do their work. It includes elements like the fitness of the organisation structure, operational and management processes, procedures, routines, general use of information, IT systems and databases, existence of a knowledge centre, explicit knowledge and know-how. Some of these elements may be legally protected and become intellectual property rights, legally owned by the firm, for example patents, copyrights, design rights, trade secrets, trademarks and service marks. Organisation capital has the advantage of being fully owned by the company – it remains in place when the employees leave - and is therefore to some extent easier to manage and change than human capital. Human capital exists as a resource and a capability, at individual and organisational levels. Individual human capital can be acquired by attracting and selecting staff with the right skills and experience. It can be developed through learning. Human capital can be converted into an organisational resource by aligning people with the organization, engaging its owners and investors, so that they will choose to make it available to the organisation. This can then be leveraged by applying it to meet business requirements. What's this Social Business thing about? 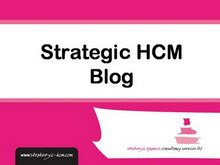 I've been blogging about human capital management (HCM) for a few months now, and have explained that I see this, not as the management of people AS human capital, but the management of people FOR human capital. HCM is an approach that invests in the accumulation and development of human capital as an intangible basis for ongoing competitive advantage. However, I actually believe that there are three main intangibles in an organisation, which are human, organisation and social capital. And out of these, I think it is social capital that provides the greatest opportunity for business competitiveness. This is partly because of the new possibilities provided by social media, and the new expectations of the millennial generation. It's also because it's becoming increasingly apparent that the traditional way of managing organisations isn't working very well. I'm defining the social business (I'm calling it the new social business to differentiate it from those organisations devoted to dealing with social causes) as an organisation that takes advantages of these opportunities. This is an area that I don't think many people know much about, and I will admit to feeling fairly unknowledgeable about it myself. So whereas in my other blog, I feel about to comment as an expert about human capital, I have set up this one to support a personal journey of learning. But I hope that readers will want to take this journey with me as well. And I also hope that my understanding of HCM, and aspects such as best fit,intangibility and complexity, as well as specific tools, such as the HCM value matrix, described within my book, will help me add something new to this field.